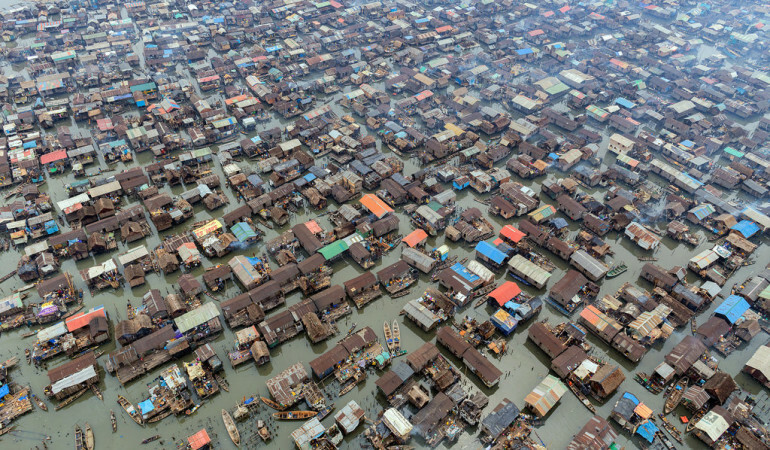 Firstly lets not get carried away with the title “Venice of Africa”, and if you are like me then the thought of Venice should conjures up images of beauty, art, and architecture, and definitely not a slum. The only attributes they both have in common is that they were both built and float on water, and are home to a population well into the 200,000 mark. 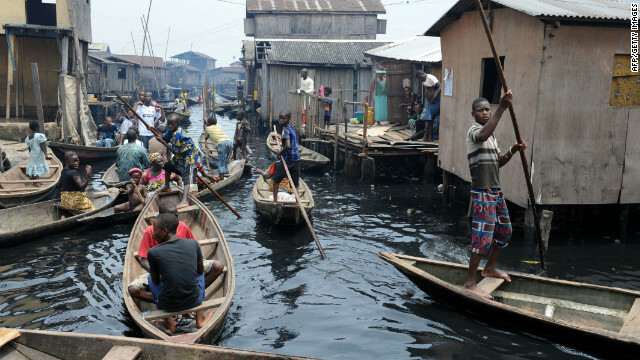 Makoko in Lagos is a slum neighborhood above the Lagos Lagoon. It has been around for along time dating back to the 18th century, and at that time it was a fishing village. 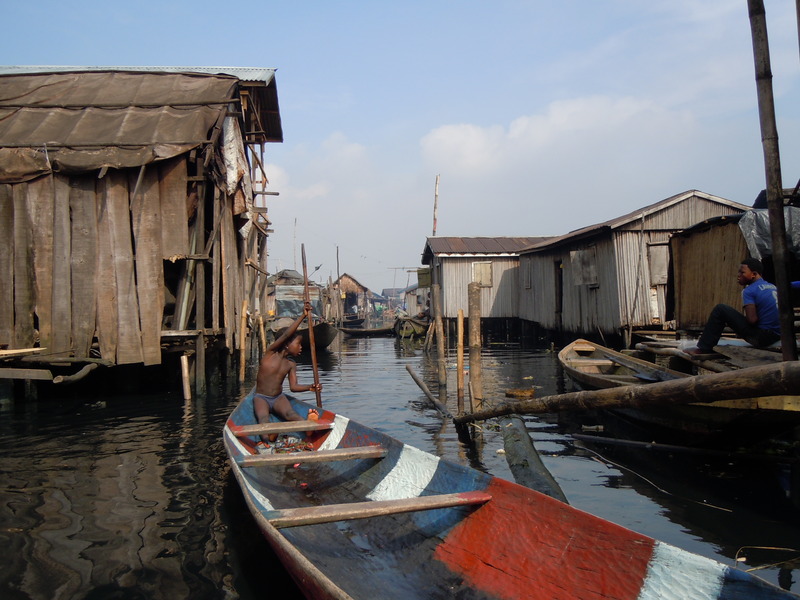 It is very difficult to estimate how many people live in Makoko, and this is because a credible census of the area has not been taken. The neighborhood and communities withing are largely self governing, with very little state government presence, which in turn has made it very difficult to gather credible data on. 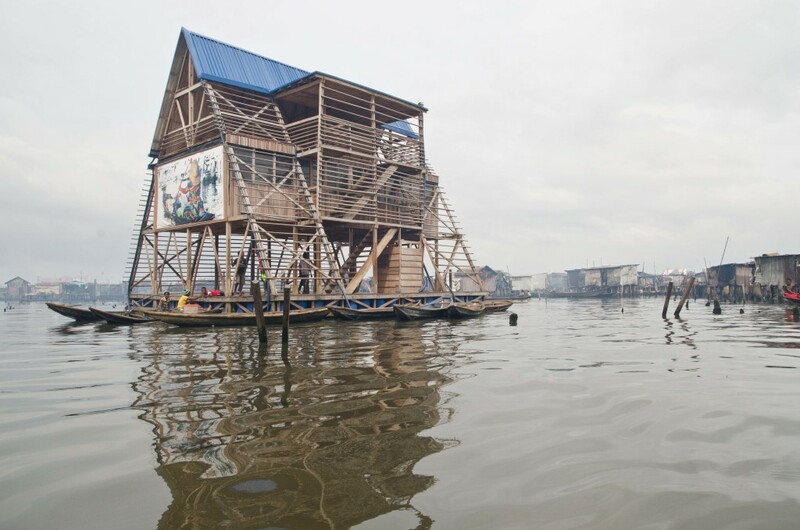 The Lagos state governments at different times have wanted to redevelop the area and bring in line with other neighborhood, but local politics and other social issues have ensured that Makoko still remains intact. 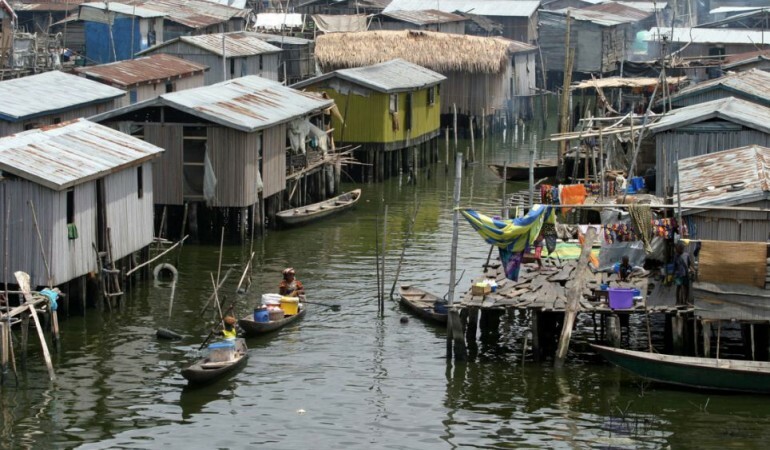 Makoko is really one of the many sad stories of Lagos, it is seen and not seen all in one glance, an invisible community that many are actually unaware of. 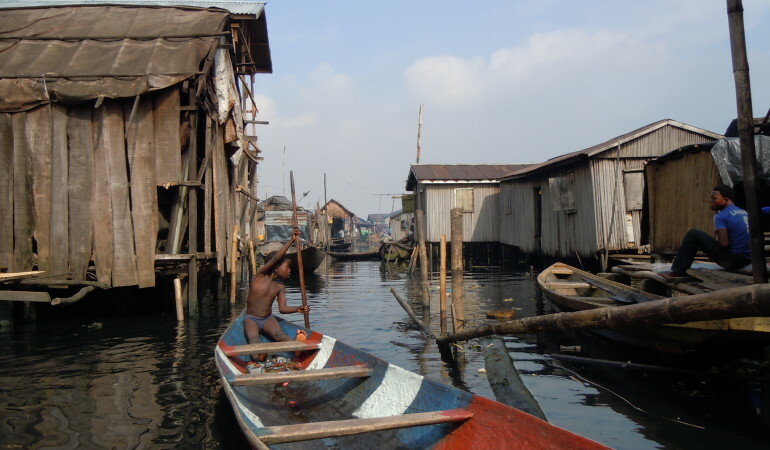 It is an extremely poor area, and as can be expected with poverty comes a whole range of social issues, making Makoko a no go area the mind of the average Lagosians. This hasn’t stopped or deterred the adventurous types mainly photographers from the international communities, looking to capture a side of Lagos we all know exists. 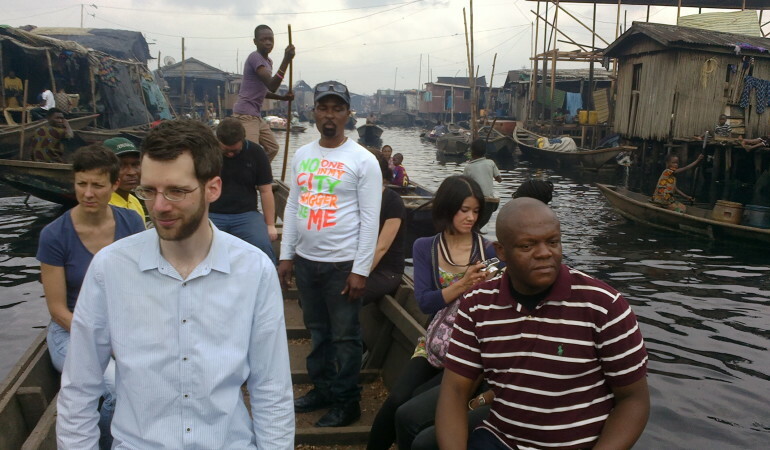 For those looking for something very different on offer in Lagos, then visit to Makoko, will certainly give you a different view on life in Lagos, and the world on the whole. 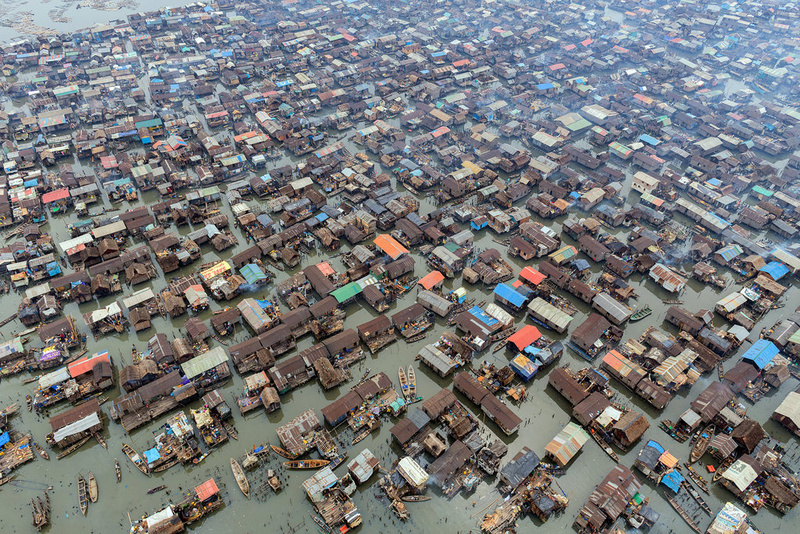 Editi Effiong’s drone video over Makoko gives many of us an interesting view, and perspective showing scale and density of the situation the inhabitants face daily. 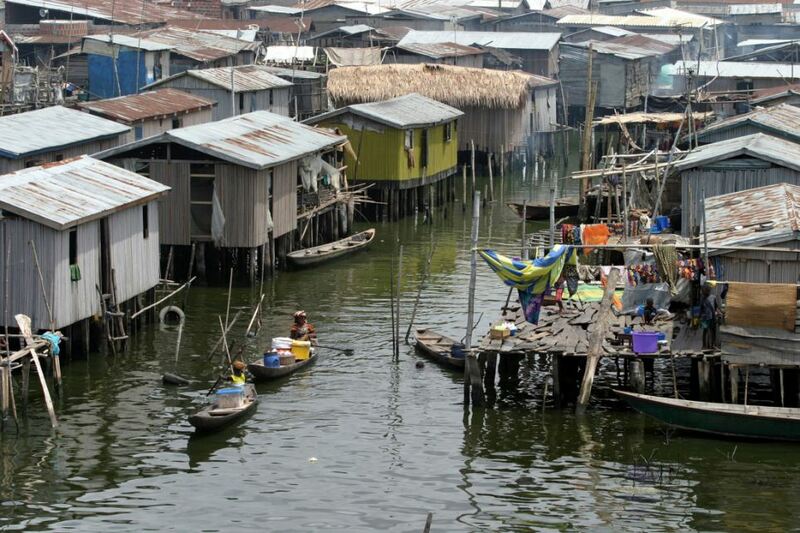 An area with no basic amenities, or proper social structures living one the fringes of the Lagos the mega city. 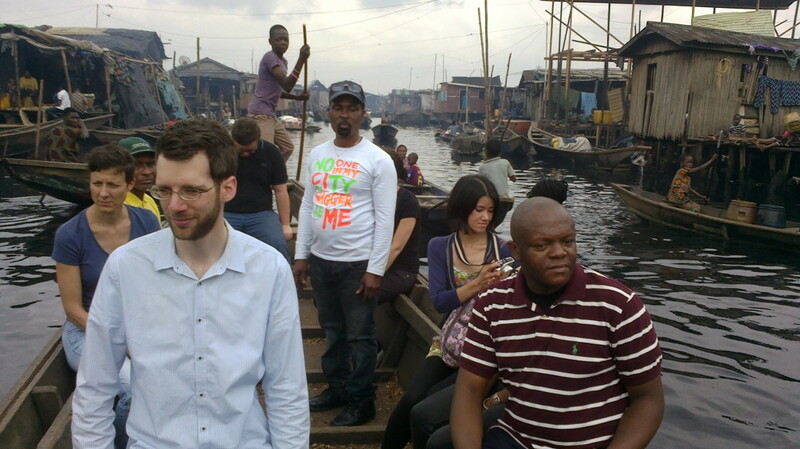 Interestingly it is in the middle of this that we find the Makoko floating school. Built in 2012 to address the communities social needs, this is no ordinary school in line with you find in the rest of the Lagos. 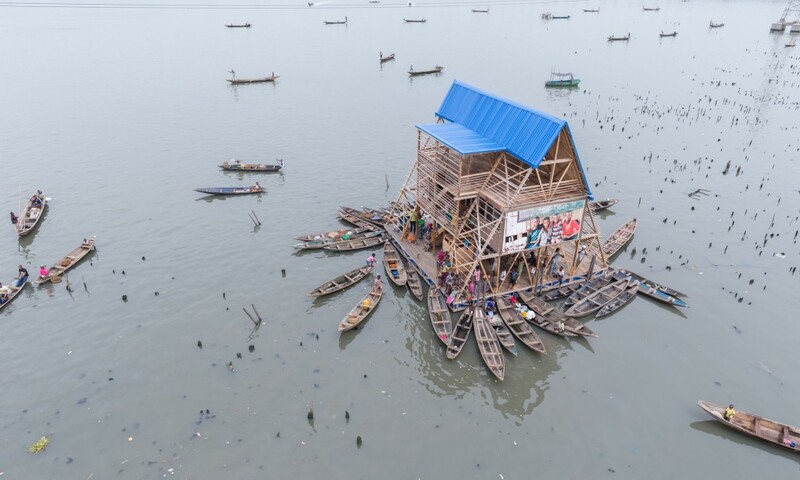 The floating school is unique and self sufficient, it has been given many Architectural accolades for design, and major attraction to the area. 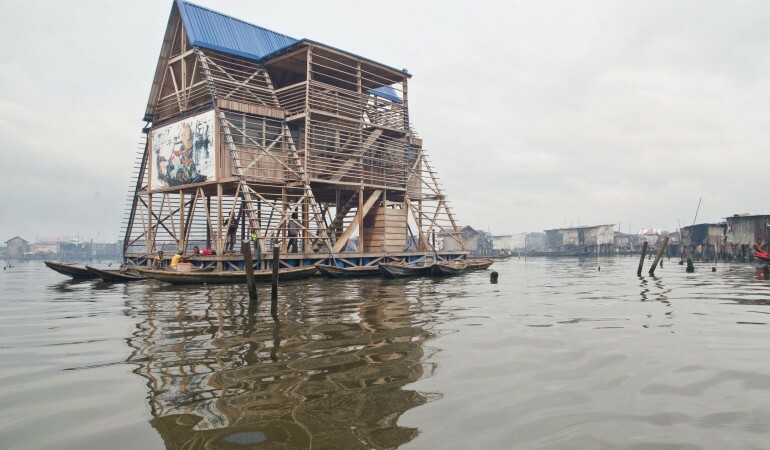 Unfortunately since I first published this article the Makoko floating school has now collapsed! This happened on the 8th of June 2016, and their were no casualties thankfully. 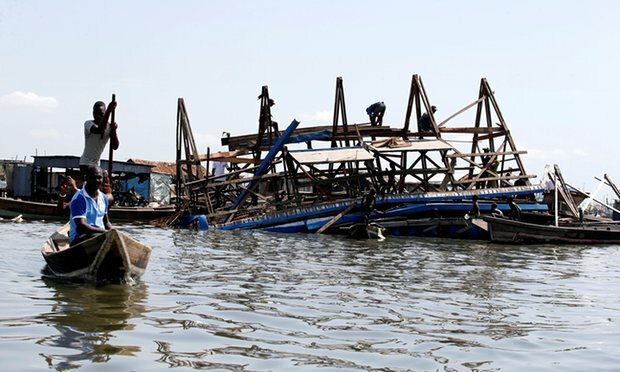 Apparently the structure could not withstand the extreme rains we experienced during this years rainy season.